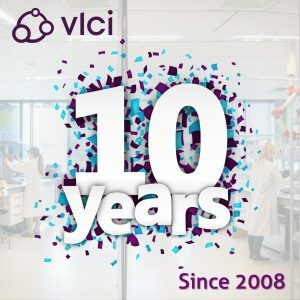 “Very, very proud that today is the 10 year anniversary of VLCI!!! A dream has come true and the excitement continues! So proud of what we achieved with the team, the customers and the initiatives we are rolling out regarding the applied formulation sciences. To celebrate with you, VLCI is giving 10% discount on new proposals that are approved this year, when you use the promotional code: VLCI10y. Looking forward to boosting your formulation!” Sander van Loon, CEO of VLCI.